Could this be the defence minister’s youngest fan? 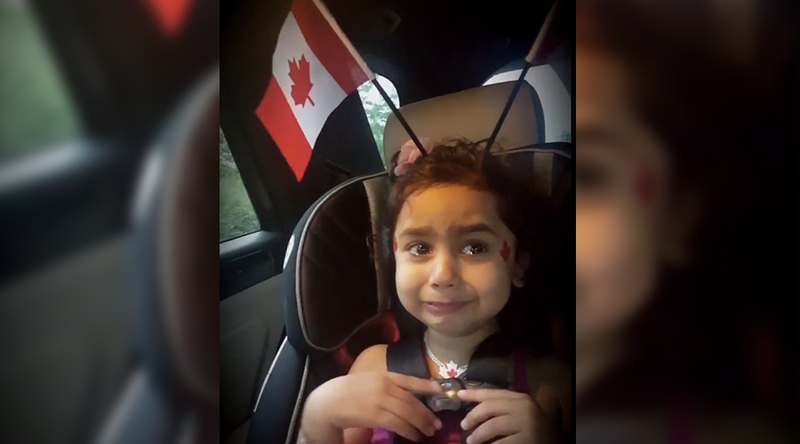 An adorable, politically-minded toddler was caught on camera by her father having a meltdown over missing out on seeing Harjit Sajjan on Canada Day on Parliament Hill. As tears streamed down Sophia Popalyar’s face, her father Fawad gently tried to explain that Sajjan was in Vancouver with his family. “I want to go to Canada Day!” she yelled in the backseat of the car. Luckily for Sophia, Sajjan had a special message for her. Considering what a badass Sajjan is, it’s hardly surprising that Harjit fandom starts at a young age in some.